The primary function of your kidneys is to filter the waste products from the blood so that they can be passed from your body through your urine. There are various tests used to diagnose how well your kidneys are functioning. This can involve analysing the levels of different components in blood and urine, imaging tests and tissue sample tests. Glomerular filtration rate (GFR) is a measure of how well your kidneys are removing waste products from your blood stream. Creatinine is a waste product released by your muscles and is the basis for calculating GFR. GFR is used to stage the severity of the condition and is measured in the unit mL/min/1.73m2. GRF less than 15 mL/min/1.73m2 indicates end-stage kidney disease. Ultrasound imaging and computerised tomography (CT) scans can be used to visualise the kidneys. These tests can be used to view the size of the kidneys and indicate whether abnormalities such as cysts, kidney stones or tumours are present. A kidney biopsy involves taking a very small tissue sample from the kidney and examining it under a microscope. This test is performed using a local anaesthetic and the insertion of a long thin needle to remove a kidney tissue sample. The sample is then examined in the laboratory by a pathologist. A biopsy is performed to identify the presence, type and extent of kidney damage. Anaemia, or the deficiency in the number or quality of red blood cells, can occur in people with chronic kidney disease. This occurs because kidneys that are not working properly produce a lower amount of erythropoietin, a hormone controlling the level of red blood cell formation. Anaemia can cause fatigue and other complications. This can be treated with erythropoietin replacement medication to help promote the production of red blood cells. Kidney transplantation is a possible treatment option that can allow a more active life, free from dialysis. 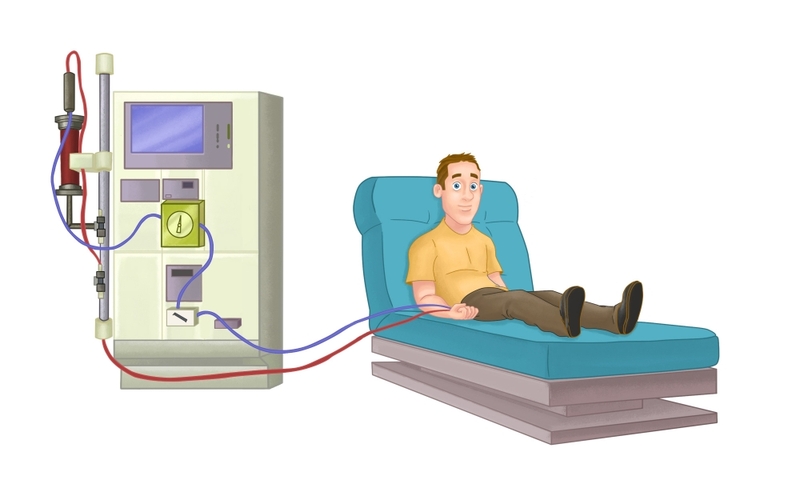 This involves transplanting a healthy kidney from a deceased or living donor into your body. This comes with the complication of ‘rejection’ as the new kidney will appear as foreign to your body. To overcome this, anti-rejection medication is needed for the rest of your life. The most significant complication of end-stage kidney disease is where the condition has progressed so far that the kidneys can no longer function to support life – this means that dialysis or a kidney transplant is required to take over kidney function. Untreated end-stage kidney disease results in excessive urea in the blood (uraemia) and causes fatigue, loss of appetite, muscle wasting, tremors and shallow respiration. Uraemia can lead to coma and death if left untreated.